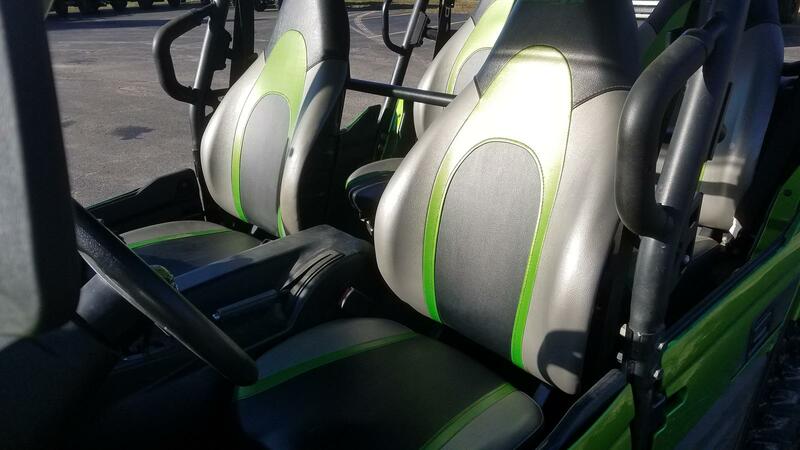 2014 Kawasaki Teryx4 LE with some very high $$ accessories already installed. 800cc Kawasaki V-twin engine delivers excellent torque for serious off-roading, selectable 2wd/4wd system with locking differential. Accessories include; Super ATV High-clearance A-arms, front and rear/ Full windscreen w/rear view mirror/full hard top/ 14" ITP Beadlock Rims ($) with 30" Tusk Terrabite tires/ 5000lb Badlands Winch/Front bumper extension/Custom rear roll cage and rear bumper/Rear storage basket and full-size spare attached (ITP Delta rim with 26" Mudlight tire installed)/ Genuine Kawasaki rear storage bin with cooler. This machine will go anywhere! Starts, runs and rides great. New, with all of these expensive goodies, this is easily a $20,000 Teryx4 LE. All for the price of a used Teryx4! 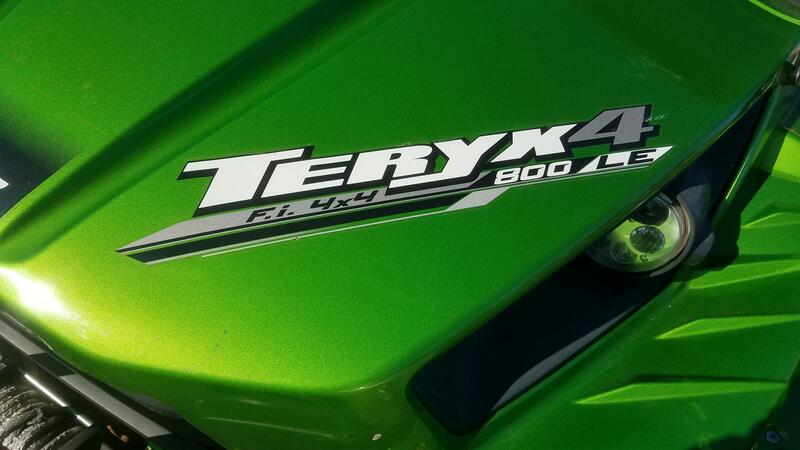 The new more powerful Kawasaki Teryx4™ LE is the pinnacle of Side x Side performance and styling. Packing all of the latest Teryx4 upgrades like a larger and significantly more powerful 800 class V-twin, and all-new Fox Podium shocks that help it set new standards in performance, reliability and durability, the LE model adds extra style and comfort with custom touches that give this tough Side x Side a trail presence that’s unmatched by any other unit! • Larger 783cc digital fuel-injected 90-degree V-twin offers more power than ever, delivered exactly where a four-seat Side x Side needs it most. Even better... it does it all while delivering better fuel economy! • Larger 783cc SOHC, four-valve-per-cylinder, digital fuel-injected, 90-degree V-twin pumps out 10% more torque over a broad spread of the rev band, plus 8% more power, especially in the low-and mid-range, precisely where a four-seat Side x Side needs it.